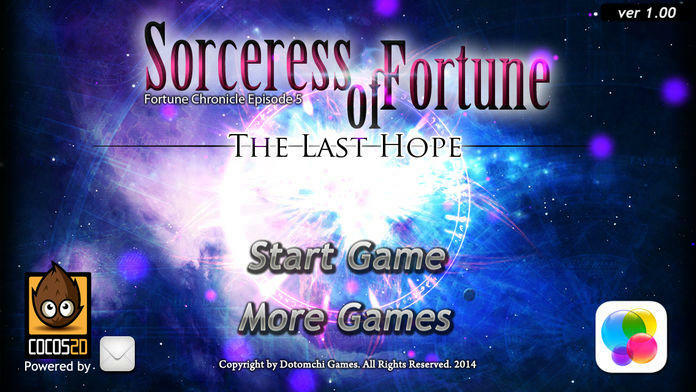 Sorceress of Fortune is the 5th story of the Fortune Chronicle Episode and the official sequel to the 2010 release of the Puzzle RPG Sorcerer of Fortune. Richer sound and clearer HD graphics than the original, a new fun gaming experience is guaranteed with an enhanced strategic puzzle battle system. Join the story as a diverse group of sorcerers are in search for a beacon of hope in the midst of darkness that has enshrouded Fortune World after the disappearance Meteor Dragon. 1. Story development with 25 sorcerers appearing in a collection of stories. 2. 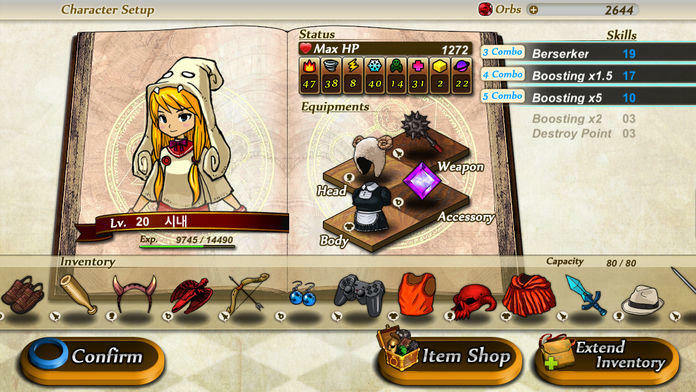 A combo system in which a skill is activated depending on the equipped item. 3. Ultimate 2D graphics with more appealing and charming animation. 4. 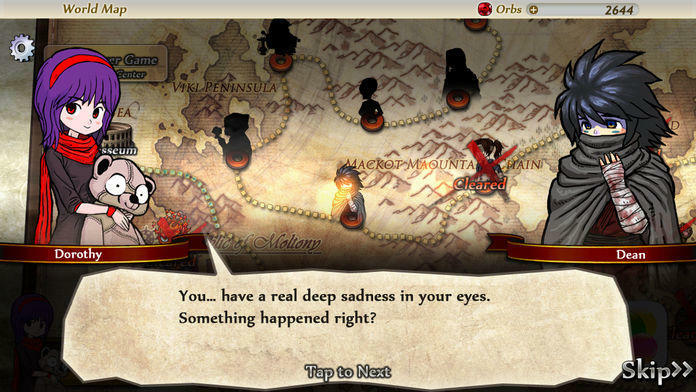 Enhanced HD graphics through Retina Display Support. 5. Supports Achievement and Leaders Board via Game Center. 6. Supports random battle with users around the world through the Game Center. 7. Supports iCloud therefore items obtained can be shared on any device. 1. 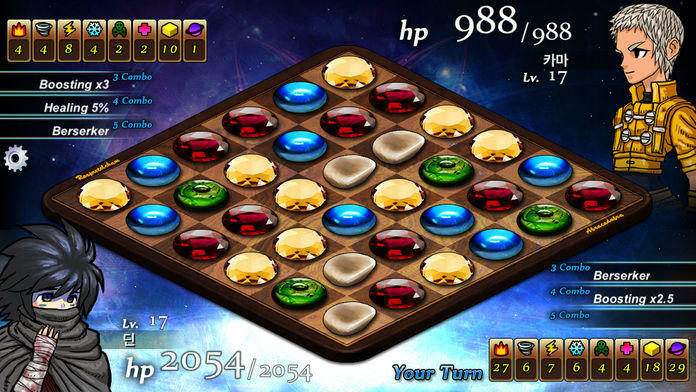 The game will progress in the popular 3 match puzzle game format in which players will take turns attacking each other, giving as much damage as the power taken from the shattered jewels. 2. All characters possess a total of 8 elemental sorcery skills (fire, ice, wind, lightening, poison, healing, earthquake, and meteor strike) and the sorcery skill corresponding to the shattered jewelry’s element will be activated. 3. 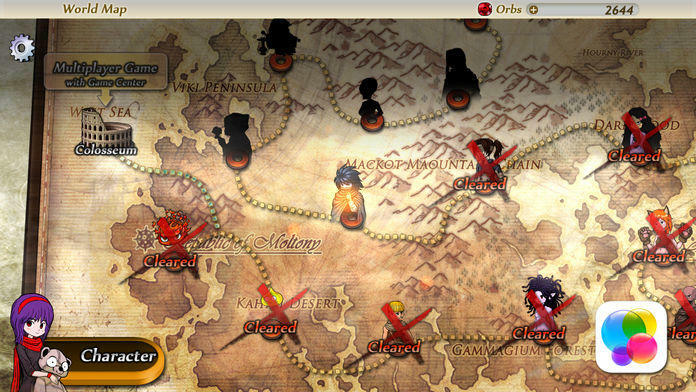 The player that wins the battle will obtain an item as a reward and once a character is equipped with it, the character’s stats will increase and the character’s skill type will change. 4. Combat skills can be done once the Skill Point reaches 10 or more and the 3, 4, 5 hit combos can be customized as more points are accumulated. The customized number of combo hits will be automatically activated in battle. 5. Through Item Combination, the obtained items can be made into items with new capabilities.